The tumult around the Karnataka Legislative Assembly elections doesn’t seem to be dying down anytime soon. A Petition has now been filed before the Supreme Court challenging Governor Vajubhai Vala’s decision to invite H.D. Kumaraswamy, leader of Congress-JD (S) combine, to form government in the state. The Petition, in fact, cites interviews of party leaders to submit that the two parties are “arch rivals”, and that them entering into a “post-poll alliance violates the republic form of government”. The petitioner submitted that the governor is not bound to appoint any person as chief minister as per recommendation of the majority political parties. "If the claim of the Chief Minister to be appointed is against the basic feature of Indian Constitution, the governor can not appoint as same would be dehors the Constitutional scheme. In this connection reference may be made to the judgement of this Hon’ble in the case of B.R. Kapur Vs State of Tamilnadu & Ors. Therefore, appointment of Respondent No.5 is unconstitutional"
It is also submitted that the Governor is required to consider while exercising his discretionary power the foundation of post poll coalition keep in view the people will. "A political party who has no mandate of the people of Karnataka to form popular government, cannot stake claim with support of another political party who has also been voted out of power by the people of Karnataka. The governor is under constitutional obligation to consider concept of popular government to be provided. The present post poll coalition is based on power sharing concept of two political parties who have been voted out by the people of Karnataka. In the present case, the Respondents No.3, 4 & 5 have with malafide intention to have power sharing have defrauded the electorate. The said approach of the political parties is against the constitutional scheme". “(a) Whether Article 164 read with Article 163 (1) & (2) permits the appointment of a Chief Minister who has very small number of members in legislative assembly, on the basic of having post-poll coalition? (b) Whether governor is bound to appoint any person as chief minister as per the recommendation of the majority political party even if the said recommendation for appointment a chief minister is dehors the constitutional scheme and basic feature of the Indian Constitution? (c) Whether post-poll coalition between two or more political parties is permissible under the Constitutional scheme even when they have not received mandate of the people, can stake claim before the governor to form government? (d) Whether a political party with a 38 assembly seats out of 222 assembly seats can claim to form a popular government as per sprit of the judgement rendered by this Hon’ble Court in the case of Rameshwar Prasad (VI) Vs Union of India, 2006 (2) SCC1? In the May 12 polls, BJP emerged as the single largest party with 104 members, while the Congress secured 78, the JD(S) 37. Together, the two parties crossed the majority mark and JD(S) leader HD Kumaraswamy also staked claim to form the government. However, the Government invited BJP to form the Government, giving it 15 days to prove its majority in the hung Assembly. Aggrieved, the two parties then knocked on the doors of the Apex Court. However, the Supreme Court, in a pre-dawn hearing, refused to stay the swearing-in of B.S Yeddyurappa as the Chief Minister of Karnataka and directed the legislators from the two parties to produce the letter sent to Governor showing majority before the Court. You may read an account of the hearing here. Thereafter, the Apex Court on Friday directed conduction of the floor test the very next day, and ordered a live telecast of it. Soon after, Chief Minister Yeddyurappa resigned, without facing the trust vote on the floor of the House. 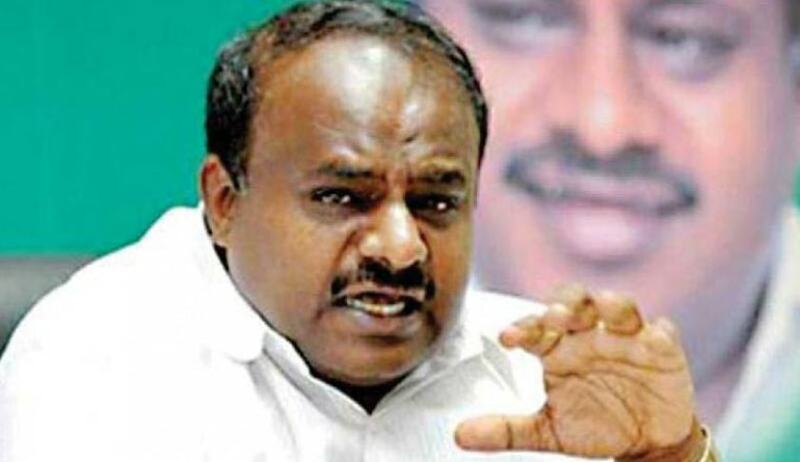 The Governor then invited the Congress-JD(S) alliance to form the Government, and Kumaraswamy is scheduled to take oath as the Chief Minister on May 23.